I too am a thrill seeker and did a tandem jump at that same location many years ago. It was the biggest physical rush of my life. The plane we jumped out of was called The Beaver. Once the chute opens it is so peaceful as you drift to the ground. I am not sure what would top that experience. 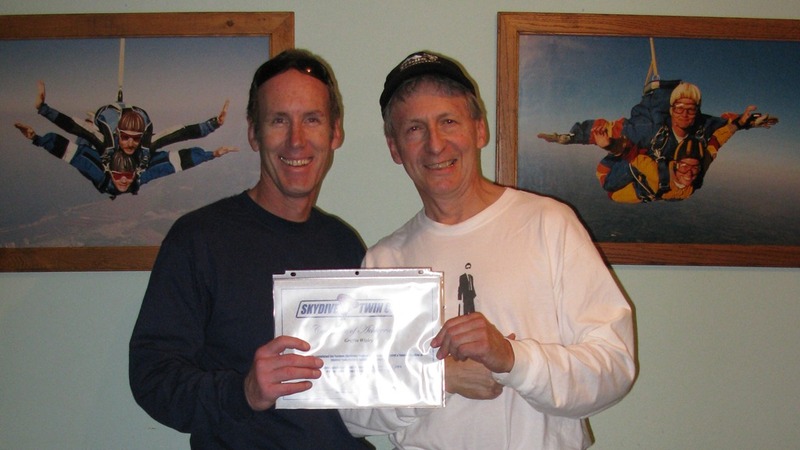 I have also been an extremely satisfied customer of Skydive Twin Cities. 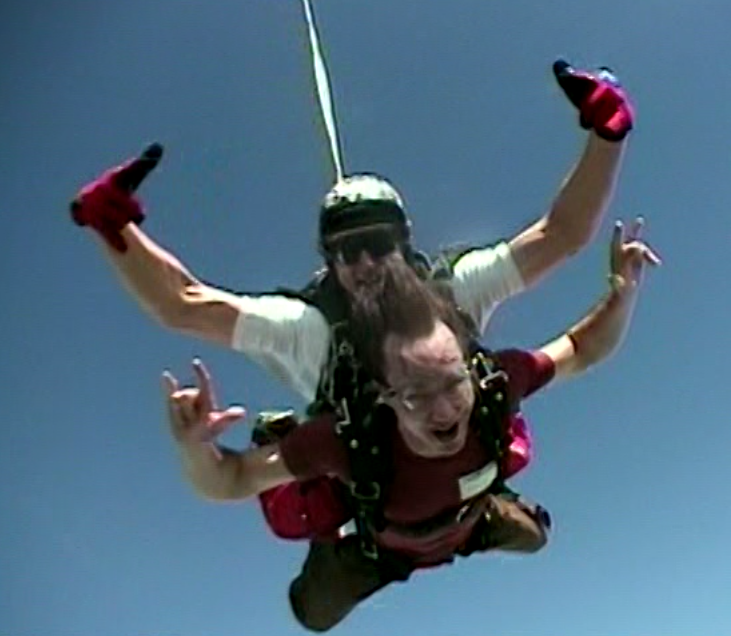 I did it for my bachelor party in 2006. Was a day I will never forget, and well worth the price. I would recommed getting the video tape it is like jumping all over again everytime I watch it. Have you ever bungee jumped? 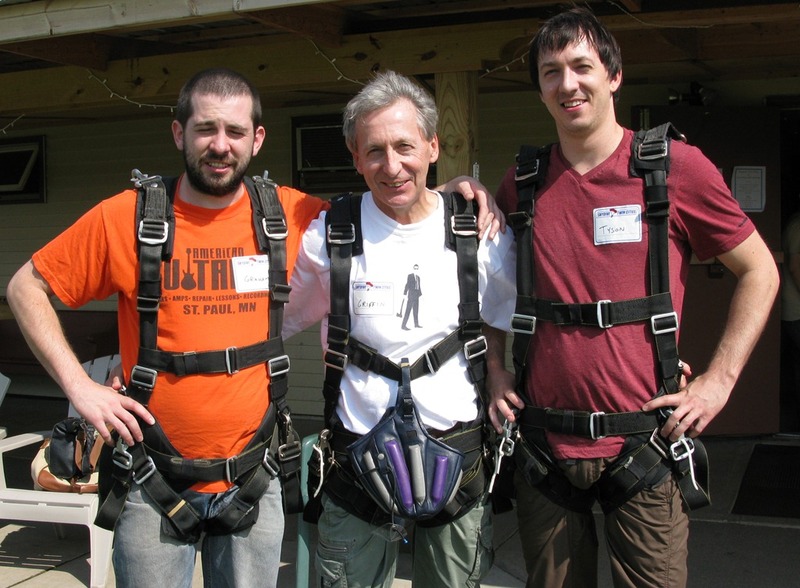 It seems like the seconds while free-falling would be similar to the tandem jump, though the overall experience wouldn’t come close. yes I have bungee jumped in Cancun Mexico 200 ft and they actually dunked my head in the ocean. It was a little more intense than I had predicted, the guy who was tying the rope off couldn’t speak english and he only used his hands for measuring the length of rope. Still he did the job perfect. I am trying to think of what’s next to get my kicks! That is great Griff! I have gone the last 3 years. What a rush! Heyo! Couldn’t stand by and watch you guys have all the fun. Took my first jump on Sunday morning. Had to wait 2hrs for a break in the clouds, but once they broke, was a beautiful ride down thru some huge puffy clouds. http://www.youtube.com/watch?v=etnS1Q40uf4 I’m hooked. You got the best deal on the video, Collin. Stanton once was a skydiving hotspot. I think the gliding fraternity was instrumental in its closure some years ago…? leave once more. Last heard, they were in New Richmond, Wisconsin. Stanton is very particular about it’s safety record and intends to remain so. group to operate there again, but it’s just a feeling I have, mind you all. Bravo on the jump, Wiggly men. vigorous than Griff and sons, have, when confronted with highly intense situations such as skydiving, did bring about muscular dystrophy, a condition which humans may carry genetically, or for which other circumstances may allow.